Gap Year Program Cost & Fees: How much does it Cost? Volunteering abroad has never been so possible! As a not-for-profit organization, A Broader View is dedicated to making international volunteer travel accessible to everyone. ABV depends on the generosity of thousands of contributors every year. ABV volunteers are enthusiastic travelers with a passion for service, they come from diverse backgrounds, and range in age from 17 years to 82 years old. 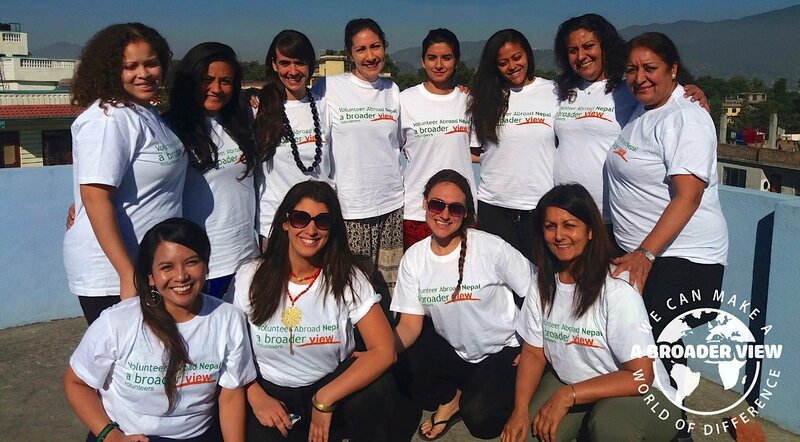 Your support allows ABV to continue to develop and enhance our volunteer service trips worldwide. As a registered USA charity, US tax payers’ program fees are tax deductible (as well as related travel expenses). For questions on tax exemptions refer to IRS publication form 526. Our charity number is 26-0594308. Our program costs are quoted per person and in US dollars. Not included: Flights. Entry Visa. Departure taxes. Vaccinations. Local Transportation. Travel & Health Insurance. Laundry and Internet. *Nepal: Pre-medical and Medical Volunteers required to pay $100/per month administrative fee which will be added to your invoice. This fee is collected by ABV and required by all health related placements. ** Nepal Immersion: Any extra week of “accommodation and meals” will be US$210/week, Extra Nepali lessons can be paid locally to the coordinator.